The discoveries may shed additional light on Iron Age occupation of an area 100 km east of Helsinki, Finland. In the autumn of 2010, local amateur archaeologists discovered a large harbor, dating from around 1000–1200 AD, in Ahvenkoski village, at the mouth of western branch of the Kymijoki River in Finland. The findings included a smithy, a iron smelting furnace, forceps, as well as hundreds of iron objects such as boat rivets, similar to those found at Viking settlements in different parts of the Baltic, Scandinavia, Scotland and Iceland. More recently, in August of 2012 and in the same area, a 2 x 3 meter wide late Viking Age or Crusade period cremation grave was uncovered. Artifacts included a battle axe, a knife, a fire steel and a bronze penannular buckle, all associated with burned human bones. 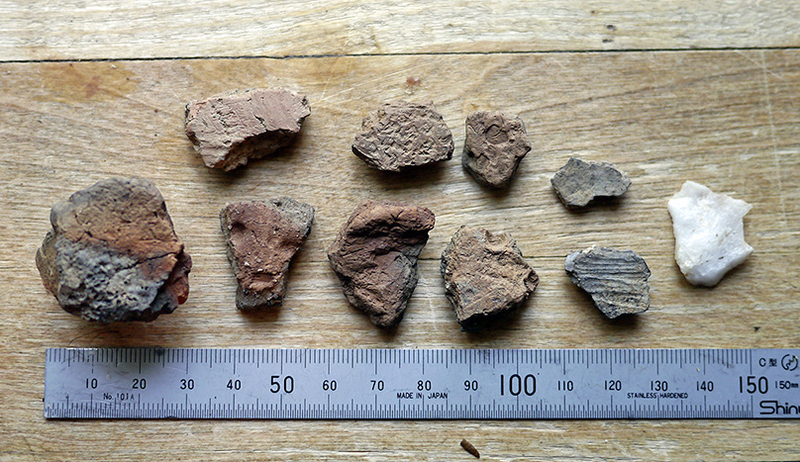 Similar objects have been discovered in the Baltic Sea area and in Ladoga Karelia. 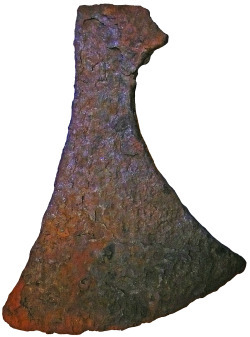 Identical cape buckles have also been found in Gotland. The other recently discovered site was located in Viirankoski, Loviisa. Based on the findings, the site has been dated to periods ranging through the Migration Period, the Merovingian Dynasty era and the Viking Age. Similar objects have been found in Sweden in the areas of Lake Malaren, Birka and Göteborg. Several iron smelting furnaces, blacksmith forceps, hand- made ceramics and plenty of iron slag were uncovered at the site. According to Timo Miettinen, leading archaeologist in Kymenlaakso, the findings are exceptional and the Ahvenkoski grave can be considered the most significant Viking Age or Crusader period burial site discovered in the Gulf of Finland. Previously it was thought that the coastal side of the Gulf of Finland was completely uninhabited during the late Iron Age. When researchers of the Finnish National Board of Antiquities conducted their own survey of the area in 2005, nothing was found. Significant portions of both sites were destroyed by construction of a new highway from Helsinki to Kotka, without conducting proper scientific investigation.